What Are the Differences Between Traditional and Modern Bus Shelters? | BIG Enterprises Inc.
What Are the Differences Between Traditional and Modern Bus Shelters? If you have been around for a while, you know just how much bus shelters have changed over the years. In fact, when comparing traditional and modern shelters, the contrast is incredible. For a long time, people had no place to go to get out of the harsh elements when waiting for public transportation. Eventually, poorly designed shelters were provided, offering nothing more than a metal roof and standing room. Although an improvement, they are nothing like the shelters available today. Some people view modern bus shelters as nothing more than updated versions of traditional shelters. In reality, the design goes much further. In designing modern-day shelters, manufacturers had to face several challenges. For instance, regardless of the location, weather can change quickly. An individual might reach the shelter while the sun is shining only to be caught in a major downpour. On the other hand, perhaps the weather was relatively warm but, with a fast-approaching storm, the temperature dropped dramatically. 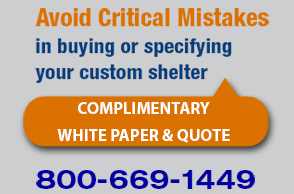 In any event, the types of shelters made today can better accommodate waiting customers. Thanks to industrial and technological advances, there are some major differences in how modern-day shelters are constructed. For instance, manufacturers now have a much broader choice of materials, including lightweight zinc alloy and heavy-duty stainless steel. In most cases, the exact material used depends on the climate where the shelter resides. It is common to find modern bus shelters with some type of wall, whether glass, Plexiglas, or metal. This helps block wind, rain, blowing snow, and even harsh sunlight. In place of standard flat roofs commonly found on traditional shelters, modern shelters feature uniquely designed roofs that provide adequate protection while allowing rain and snow to slide off instead of accumulate. Two of the biggest changes seen in modern bus shelters are aesthetics that complement the surrounding area and enhanced safety. As far as aesthetics, you can have virtually any design. Once color and unique features are applied, the shelter has a customized look. This gives people a more enjoyable place to wait for public transportation. Since some people wait for buses at night, shelters boast comfortable seating and excellent lighting. If you are interested in a newly designed shelter, B.I.G. Enterprises is the most trusted source. With years of industry experience and unrivaled expertise, you will be satisfied with the finished structure. For more information, please contact us today.